Parking is available on the street or near by at the municipal parking lot. The Metro North train to Tarrytown. Our private intimate dining room accommodates up to 60 guests for special functions. Chef Michael Cutney's newest Venture The Twisted Oak, takes a fun and casual approach to New American Fare with Italian Influences. Sourcing from Local Farmers and Growers,The Twisted Oak offers a daily changing menu featuring ingredients from the Hudson Valleys' Bounty. Located just steps away from the famed Tarrytown Music Hall, the Restaurant is set in a turn of the century photography studio. The main dining room is dressed with paintings from local artists and the bar, which was handcrafted from Oak Wine Barrels, you can expect to find boutique wines, seasonal cocktails, and local brews. 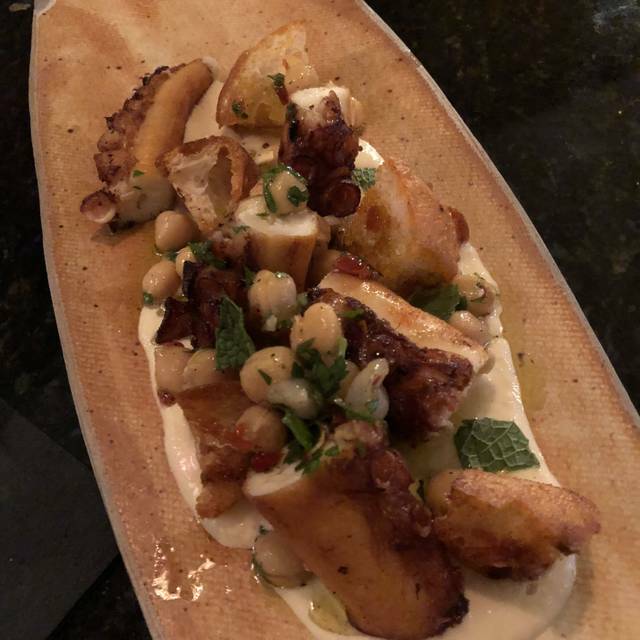 The Twisted Oak is quickly becoming a neighborhood favorite with its delicious food, refined service, and excellent hospitality. We go there a lot! Though it is not cheap, the food is always exceptional. All in all, a wonderful experience every time we dine there. Food was outstanding, as usual. Service and atmosphere were perfect. Highly recommended! The food was excellent and I have already recommended it to colleagues. Excellent food and service. One of the best restaurants in the area. My husband and I had a wonderful dinner in a very friendly atmosphere! Another birthday, another special meal at The Twisted Oak. This restaurant never disappoints. Great place to meet up with friends for a nice lunch and some unique cocktails. Service was great and not pushy. Great food. Charming atmosphere. Service was great. Enjoyed going there. Just outstanding. 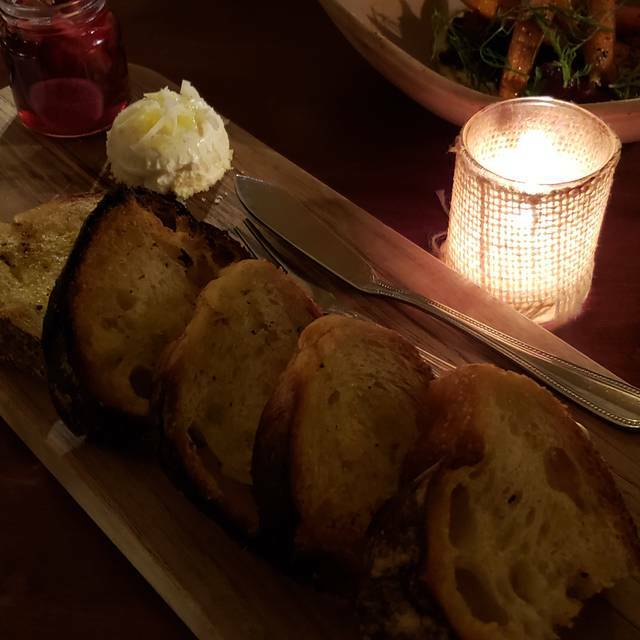 Service is great and the food is phenomenal right from the start with the bread and ricotta cheese spread. The chef is a very nice man and will come out and check on things and say hello from time to time. If we lived closer we would go often. This was our second time there and just love it. My first date with my now fiancé was at The Twisted Oak in 2017. We dined here for the 3rd year in a row on April 3rd, and it was by far the most successful meal there for us to date. We both love duck, so we split the duck lasagna to start, very good. It's everything you want lasagna to be, with the gamey twist of duck meat. The trout over quinoa was cooked to perfection and every corner of the dish had a new (and good) flavor and texture. 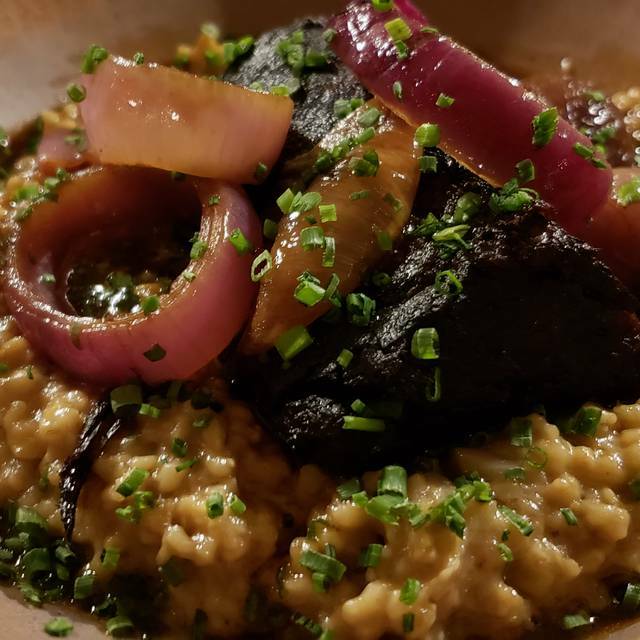 The short rib was good, lacked a little "pop", but the bed of "risotto" was delicious. In past visits we were never really sure who our server was or when they were coming. On this visit there was more of a team effort from the hostess, the server, and someone who seemed to be a floor manager, they really checked in on us and cleared everything in a timely manner. The Twisted Oak is a solid choice for anyone looking for tasty and hearty fare. Good place in a beautiful town! The food is very tasty. The place operates on Farm to Table menu and very special menu... The ambience is pretty cozy and very low noise level... will surely go back if back in the area! The food was excellent. Appitizer portions where small and expensive. Main course was a good value. Food was good but portions were small, especially for brunch. Amazing birthday dinner for my fiancé. There was a little issue with an appetizer and they more than made up for it with complimentary drinks and dessert. I would absolutely go back and also recommend to friends. I went here for a birthday celebration with my girlfriends. 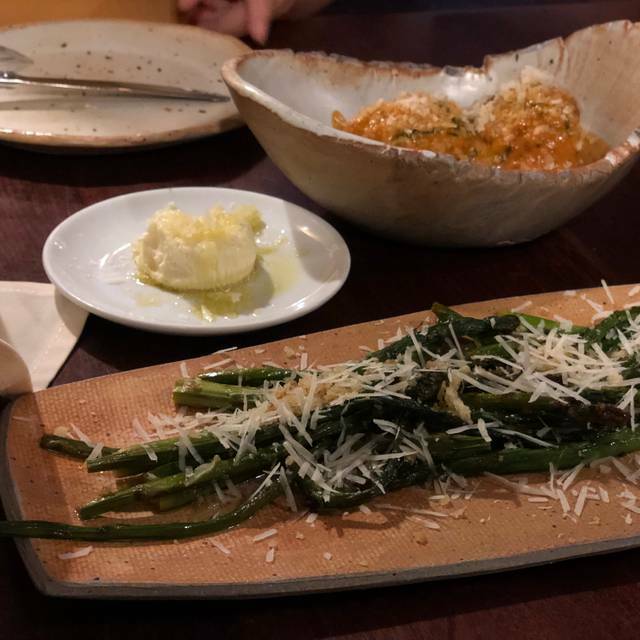 The food was incredible, including the bread and cheese they bring out to the table. 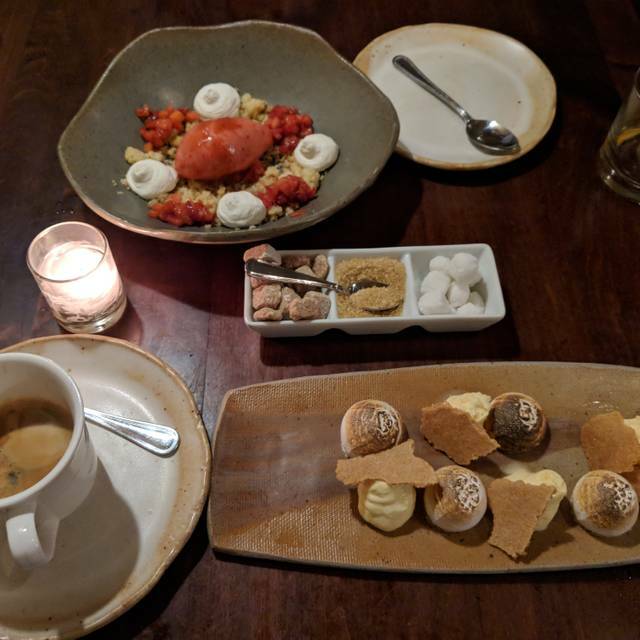 Our dinners were all delicious, but what really stood out was the Panna cotta for dessert—it was amazing!! Peaceful location. Excellent service. Very good food and nice wines. Excellent food and service. Good value for the price. Back room was a little on the noisy side but was still manageable. It was great that they participated in Restaurant Week and that we took the opportunity to get to know this fine restaurant. While we really enjoyed the restaurant, the prices are prohibitive. We were not prepared to spend so much money for a single entree. We specifically booked a table here during restaurant week so that we could enjoy a 3 course meal at a reasonable price. Open table did not alert us when we booked that the place only does restaurant week Sun-Th evenings. Sadly, the hostess called to confirm and get our food allergies but failed to correct our assumption when we stated we were trying the place for restaurant week. Consequently, we left disappointed, betrayed and hungry. Amazing food and environment!! Top notch food, quality and service! Definitely will be back! We were rushed through dinner due to a reservation that was to follow us. We were originally offered a another table upon arrival if we were closing in on the next reservation. I choose to stay at our current table and move to the other table if necessary for dessert. That was the original understanding. That was taken away from us at the end of dinner, as we were rushed through dessert. We barely finished our appetizers before our main courses were brought out. I felt like I was at a fast food restaurant. We were told we could sit at the bar to finish our meal by the owner-manager while we were trying to finish our wine before dessert. We still had a half hour before the next reservation was due. It was my girlfriend’s son’s birthday and the owner didn’t even offer us a drink at the bar he was shipping us off to as he was throwing us out of our table. I found his actions very disrespectful as we were spending hundreds of dollars at his restaurant. 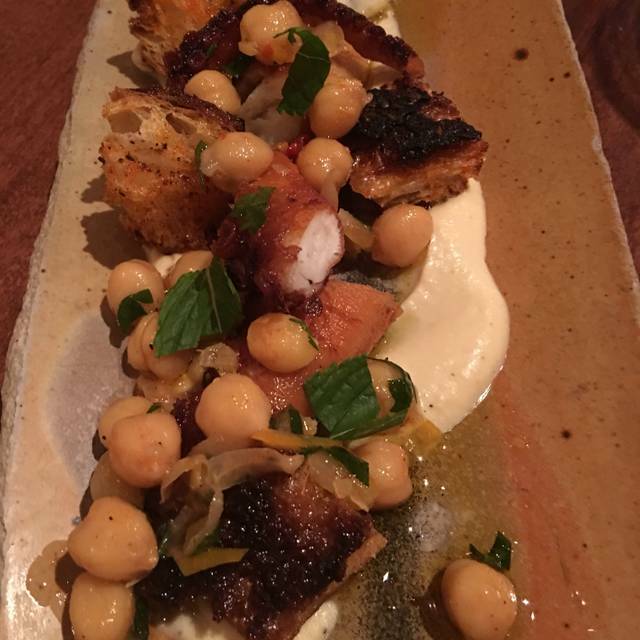 As a member of Open Table you’re aware that I dine out quite often in the NY metro area. This is not the way to treat a patron if you expect return business. We came for dinner during restaurant week. The food was excellent and the price reasonable. We were there fairly early on a week night and only thr front section of the restaurant was occupied. It could be noisier on a busier night. Twisted Oak is our go to place for Date Night. 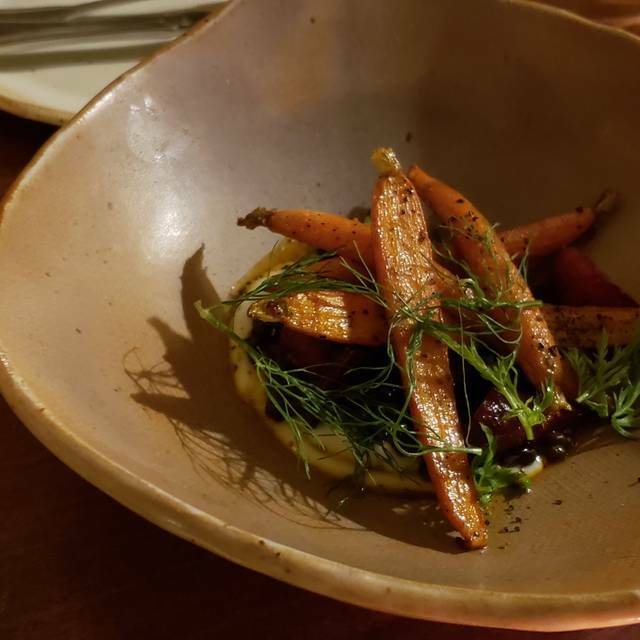 The food is imaginative, farm to table and delicious. We especially like to bring new guests for their first time. We went during th Hudson Valley Restaurant Week. The food was delicious with rich flavor. The portions were a bit too small. Wonderful spot. Service was superior. The music wasn't so loud it was impossible to carry on a conversation. The pre-fix menu had wonderful choices and both of us loved our meal. The regular menu looked good as well. I will definitely go back and highly recommend it for a weekend brunch. Waiter was great! Food was great! Manager was not accommodating and rude. I had a reservation also. One of the very best restaurants in all of Hudson Valley. If Michelin gave out stars in the suburbs, they would give at least one here. Well worth a visit. Restaurant week lunch... food really fantastic...portions were Really small... especially entree. The 2 desserts were quite delicious... special. Came during restaurant week 2019. Was blown away! 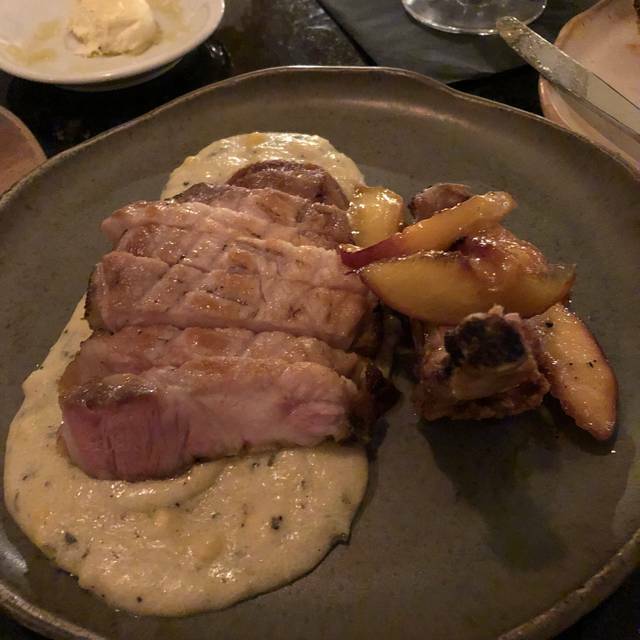 Food was fantastic, service was solid. Creative, subtle, and elegant dishes. I will remember that meal for a long time. Food was AMAZING! Staff was great. The downer was the music- it did not seem appropriate for a restaurant but rather an urban club. It was highly distracting in a negative way. Great dinner at the Twisted Oak, everything we ordered was delicious! My only complaint was we made a reservation and it took 20 minutes for our table to be ready. We tried to get a drink at the bar but the bar was very crowded and took over 15 mins for us to finally get the bartender's attention. Other than that, everything was great, staff was friendly. Cocktails were good! Would definitely go back. Though the restaurant is very pretty, the food is a little unusual. That being said, it was tasty enough. However, when we walked in, we were asked if we had a reservations. A fair enough question - but the tone was not so pleasant. The waiter, however, far out weighed the greeting. He was bothered by our lack of knowledge of the unusual food items. When a simple request to eliminate a starch and increase the vegetables was made, he countered with "Are there any more questions?" I wanted to reply, "Yes - why are we continuing to sit here?" The lack of comfort continued through the meal. 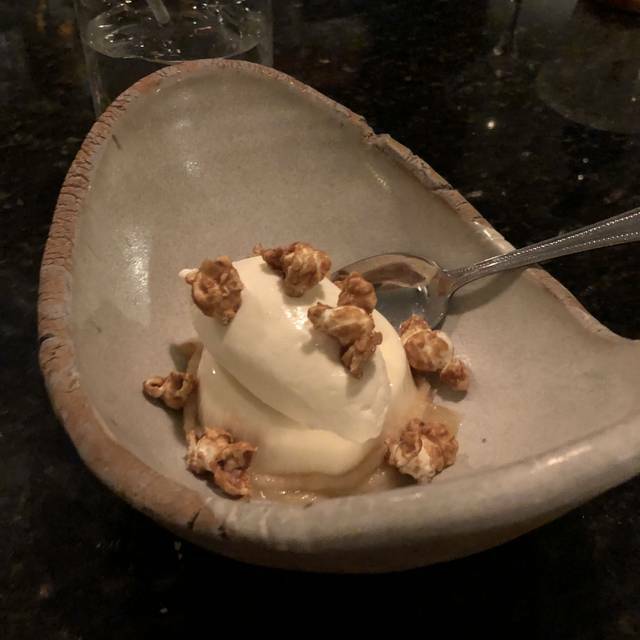 It absolutely took away from the dining experience (and added to the annoyance of the high price).